To perform selective conversion with the help of NSF converter, users need to import selected NSF files into software panel. 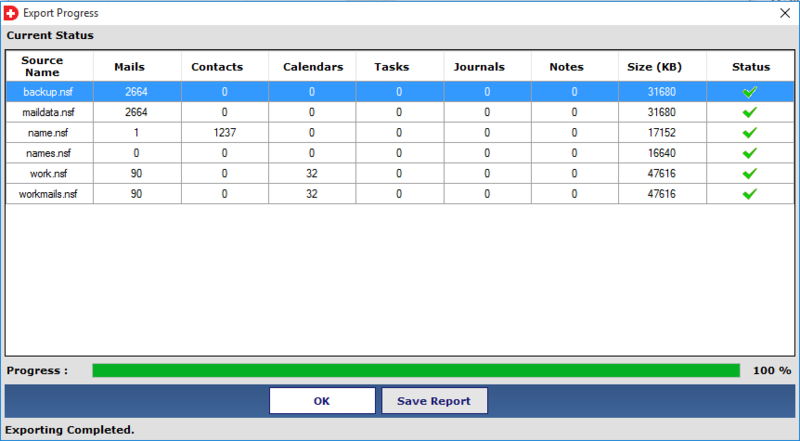 After that, utility displays live status of Lotus Notes to Outlook migration where users can track the conversion procedure & able to see success count rate, status of conversion, etc., on the same wizard. 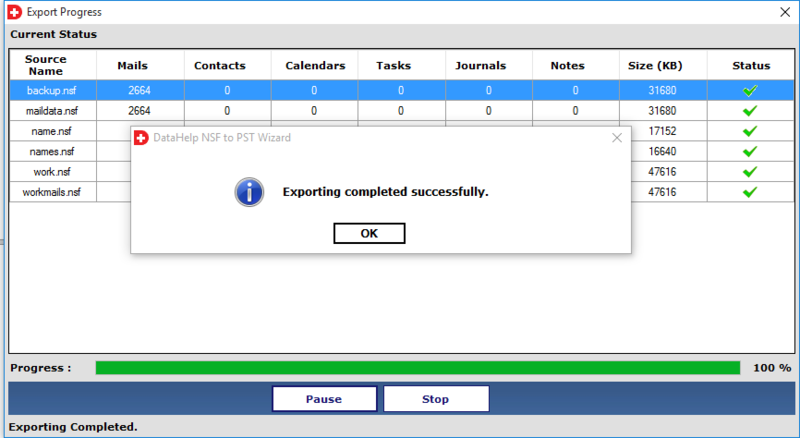 User can save entire NSF file conversion report into an export report. This IBM Notes NSF to PST converter tool has a unique functionality through which it provides users an option where users can drag any number of NSF files and drop them in center of the screen. 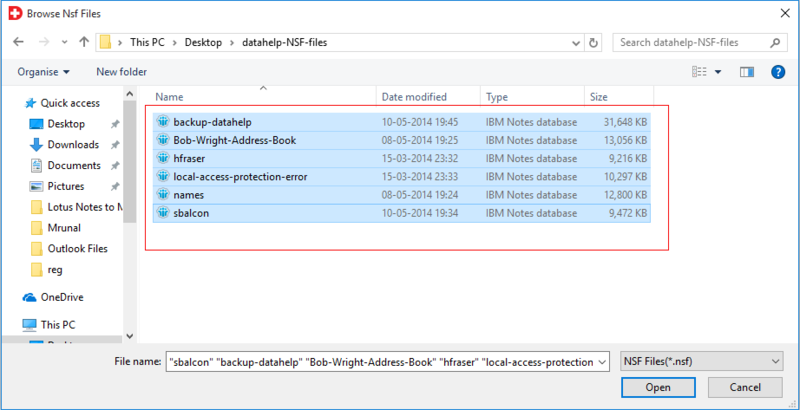 The software is capable of loading the IBM Lotus Notes database files, just after dragging and dropping them. 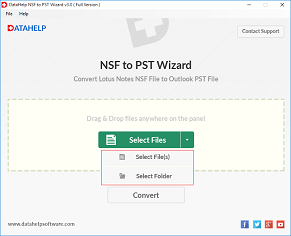 In addition to what the Lotus Notes to PST Converter does, the tool is also having some extra features for saving the output PST files, as per user’s demand. Software users are provided with a setting where they can save the PST file at any location. 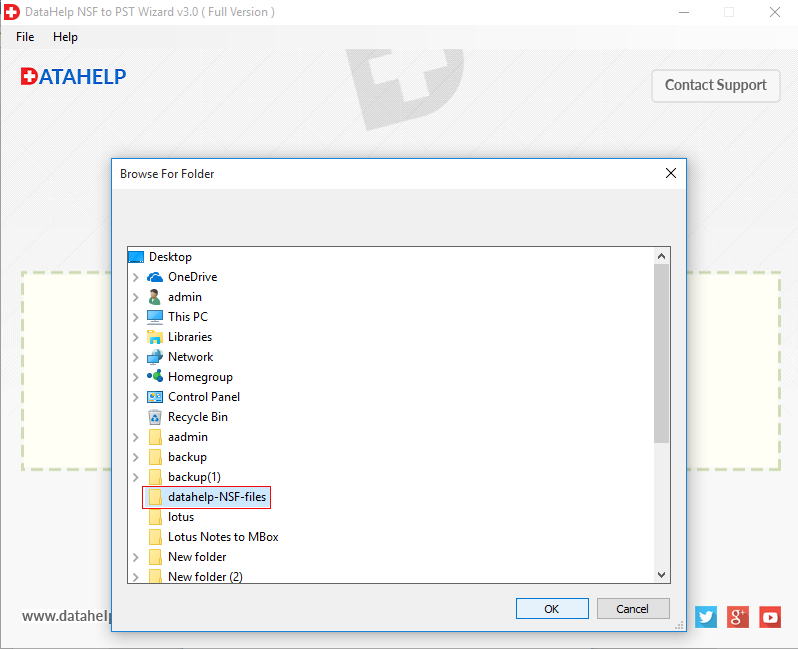 Including this feature, the users are permitted to change the default name of the converted file while importing NSF file into Outlook PST file. 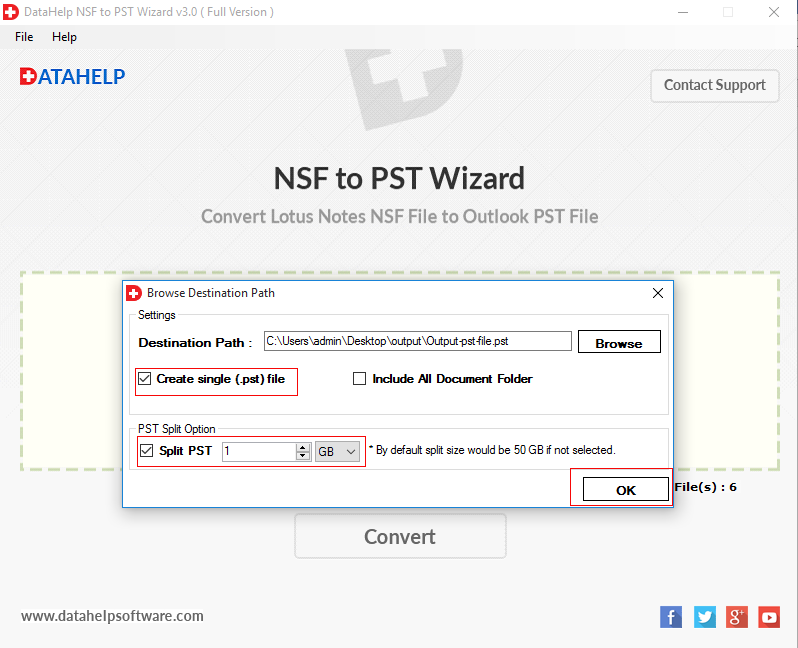 The exclusive property offered by Lotus Notes to Outlook converter is that it retains the integrity of data during the NSF to PST conversion. It provides data with all attributes/properties associated with emails, such as Cc, Bcc, To, message length, and all other header part, after it performs the export functionality from NSF emails in MS Outlook. Outlook: Outlook Email Client should be installed with any valid & dummy profile. Lotus Notes: IBM Notes should be installed & configured. 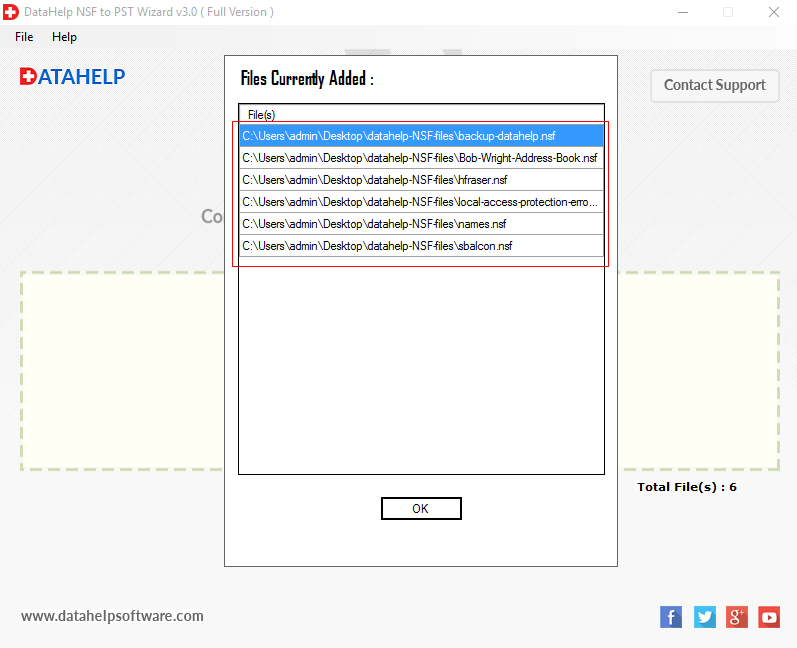 The Demo edition of DataHelp NSF to PST Converter Will export only 10 items. 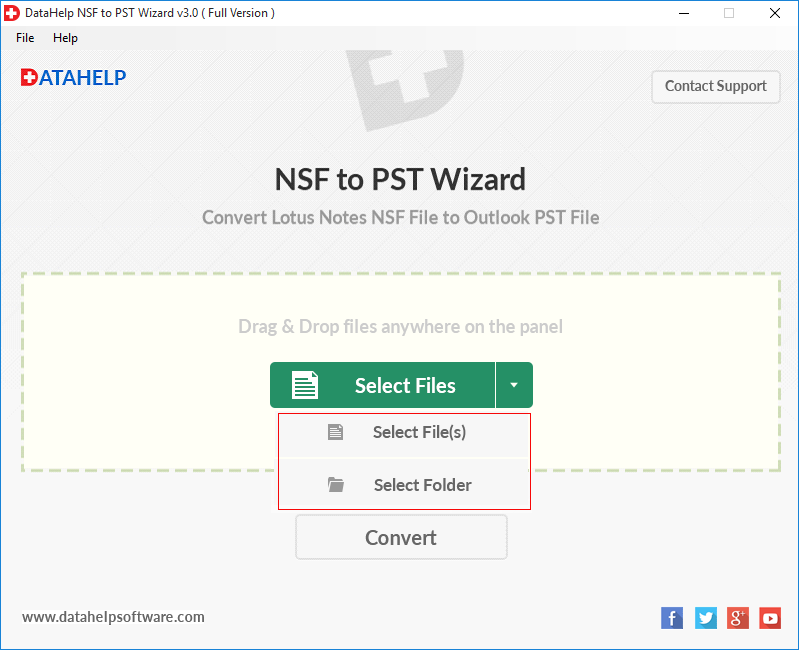 Yes, Microsoft Outlook & IBM Lotus Notes required for importing NSF files in PST file format using the NSF to PST converter tool. 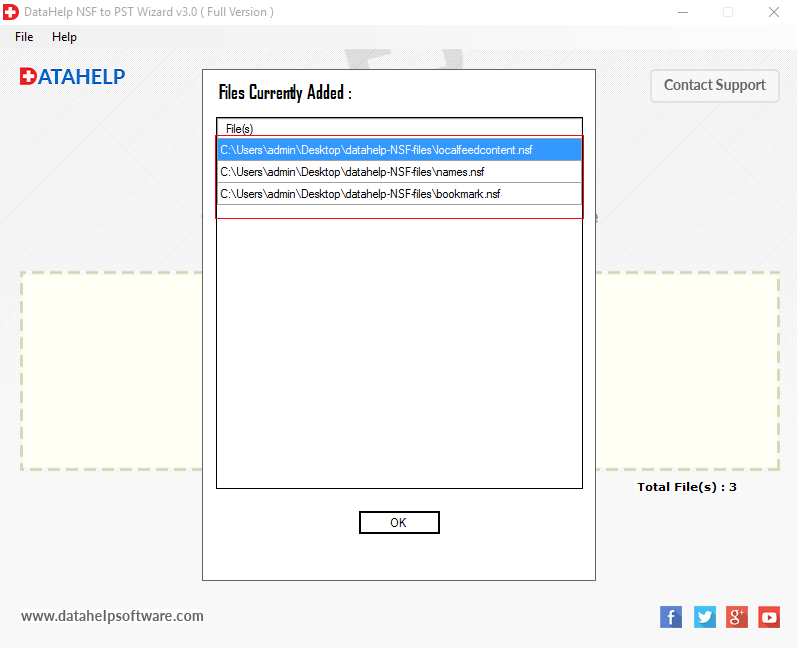 Does the utility has a feature where I can convert multiple NSF files in single PST format? 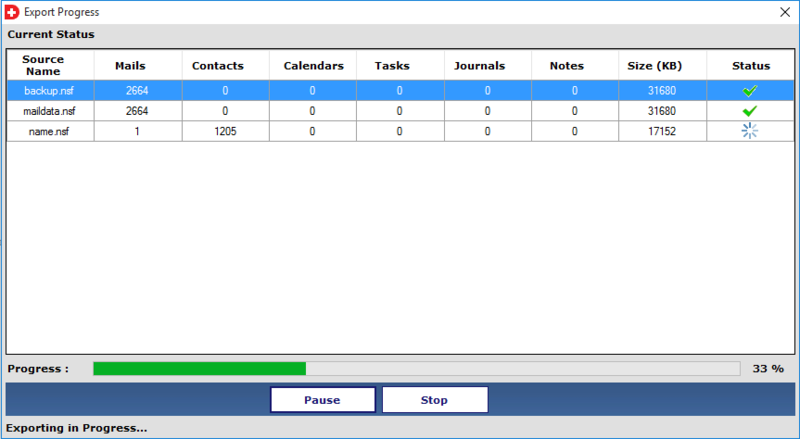 Yes, our software provides you an option to create a single PST file for bulk NSF files. You are free to use this feature for exporting multiple NSF files and saving them in PST file format. Is your software available as a trail version on different platforms? Yes, it is completely free of cost too. You can download it from our official e-commerce site. Before downloading the trial version, keep this in notice that it has a limitation in which you can convert only first 10 items from Lotus Notes File to PST. Is there any restrictions related to size while performing migration? No, we are not restricted to any size constraint. You can convert your file of any size easily with the help of our software. without any risk. Moreover, it is suggested, always download full setup of any software to prevent virus attack. 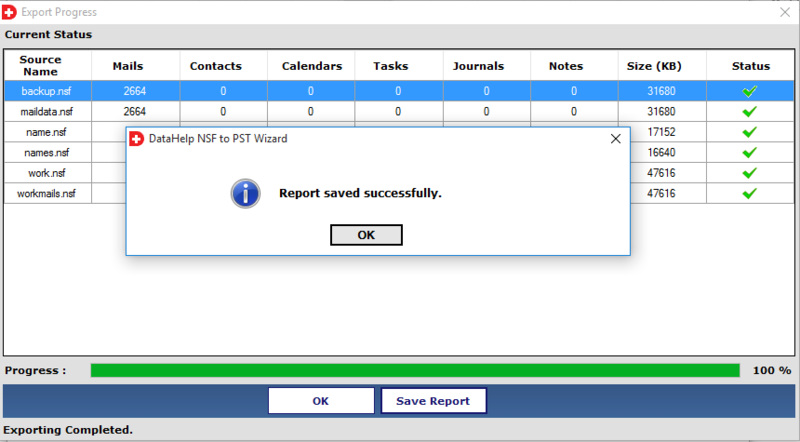 Does the NSF to PST Converter software maintains a complete detailed report of conversion? Yes, if you are searching for such application, which provides detailed report of performing NSF files to PST migration then, our software is exactly the one for which you are looking for. Which edition of Lotus Notes does supported by this software? This software supports 9.0, 8.5, 8.0, 7.0, 6.5 & all below versions of IBM Notes and converts their NSF to Outlook PST format. 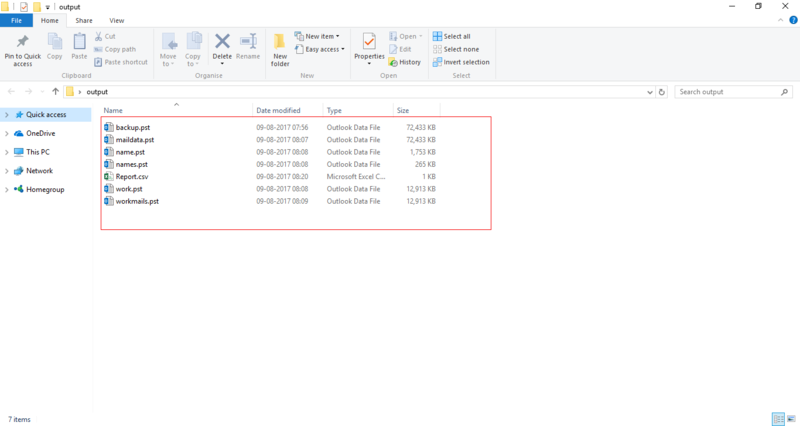 This output file will accessible in Outlook 2016, 2013, 2010, 2007, 2003. "I was in search for such utility, which provides an easy NSF file conversion because I am a non-technical person for whom such migration is difficult. My son suggested me to use DataHelp tool to migrate Lotus Notes to Outlook PST and I did the same. 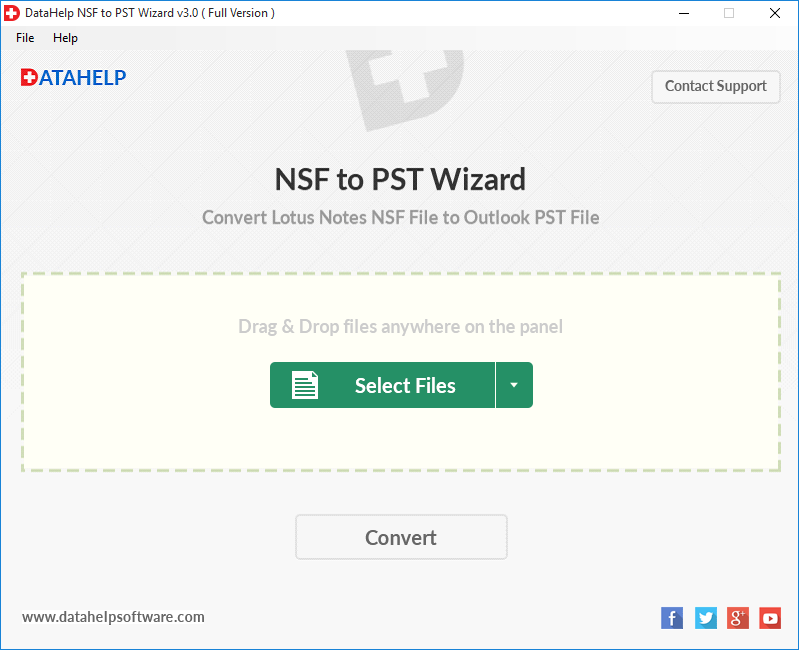 Well, the feature which I liked the most about this NSF to PST Migration tool was that it had an option where we can drag and drop Lotus Notes NSF files easily. 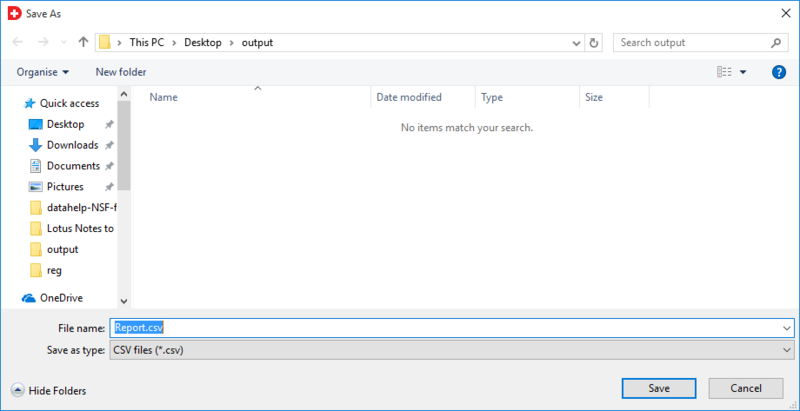 All I needed is that I just have to drag and drop the files directly. Thank you NSF converter tool!" "We were looking for a solution which can be of a great help and provide solution in migrating a file from the Lotus Notes to Outlook. Then, we felt the need of NSF files to PST conversion as a major concern for us. Some of my friends suggested me to use this Lotus Notes to PST converter tool, it served my purpose and all my work was sorted in a systematic way just because of it."